Arrecife. A coral reef. The Dominican Republic has beautiful and diverse reef systems. Everyone from fish to turtles to dolphins to humans depend on healthy reefs. Partner with marine biologists and work to protect the reef during Marine Life and Coastal Restoration. Batey. Bateyes are small communities scattered throughout the sugarcane fields in the Dominican Republic. The people living in these villages cut sugarcane, and harvest the crop. Help build homes in batey Monte Coca during Life in the Bateyes. Cordillera Central. This is the mountain range running through the heart of the Dominican Republic and is home to the highest peak in the Caribbean, Pico Duarte. Hone your Spanish in this part of the country on the Dominican stop of our Spanish Immersion gap year program. Día de Independencia. The Dominican Republic celebrates its independence from Haiti on Feb. 27. This day culminates the Carnival season, which is celebrated with parades that show off elaborate masks and costumes. Estrella del mar translates to sea star in Spanish. 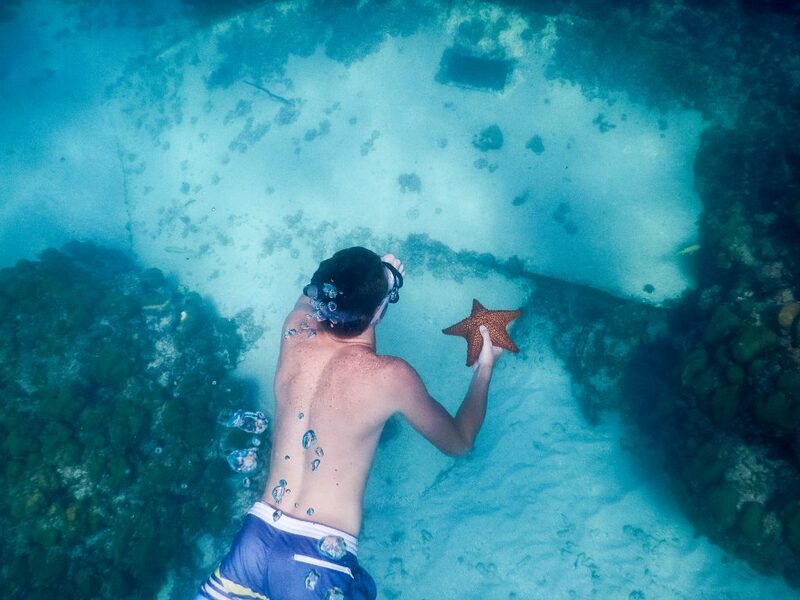 Find these delicate creatures in the Caribbean sea, but make sure you just admire them from afar—don’t pick them up! Fresh fruit. Mango, pineapple, bananas, papaya, watermelon, passion fruit—these are just a few of the fruits produced by the island. People enjoy them in smoothies, juice, or on their own. Guaguas. Need a ride? Guaguas are typically small vans that make up the local transportation system in the Dominican. Habichuelas. Beans! Dominicans know how to cook beans, and they prove it by adding them to every meal. A typical meal consists of rice, beans, and meat or fish. Isla Saona. Just a short boat ride away from the main island, Saona Island is protected by Parque Nacional del Este, surrounded by the bright blue water of all shades, and lined with palm trees. Additionally, hawksbill, green and leatherback turtles come to the island to lay their eggs! Juan Pablo Duarte. Known as the Founding Father of the Dominican Republic, he helped lead the county to its independence in 1844. You’ll many streets, buildings and schools named after him. KLK. It’s short for “Que lo que? !” You’ll hear this every day here! It translates to “What’s up?” and is used as an informal greeting here. Los Haitises National Park. Take a boat tour through the mangrove forests, unveiling covered limestone karsts, which are home for many species of birds. Visit the park and participate in service there to help restore mangrove populations during Island Living and Eco-Service. Merengue. This type of music and dance originated in the Dominican Republic, and you’ll hear it from every street corner. Get ready to dance! NGO. The DR is home to many grassroots non-governmental organizations that are doing good year round. A few that we partner with on our programs include Fundemar, ASCALA, Colectiva Mujer y Salud. Open-air truck rides. Enjoy the scenic views as you ride up the windy roads to mountain villages. This is our main mode of transportation from our base house in Jarabacoa, where you’ll stay during Mountain Air and Village Service and Summer Camp Leadership in the Dominican Republic. Plantains (Platanos). Plantains are like starchy bananas and they can be eaten savory or sweet. Sometimes you’ll have mashed plantains with breakfast, or soft, sweet plantains for dessert. Rincón. As in Playa Rincón. This white sand beach stretches 3 km and is surrounded by beautiful mountains and turquoise water. Sugarcane. The southeast part of the island is covered with 236,000 acres of sugarcane. The crop is harvested year-round and is mainly exported to the United States. Tainos. Tainos are the indigenous people that once inhabited the island of Hispaniola. The vast majority of Tainos were completely killed off within 50 years of Europeans’ arrival on the island through enslavement and disease. Underground cave. Hike through the jungle to find the entrance to an underground cave located in Parque Nacional del Este. Bring your swimsuit and cool off in the crystal clear water. Vitilla. Baseball is the national sport, but when supplies are limited, this form of stickball is a local tradition! 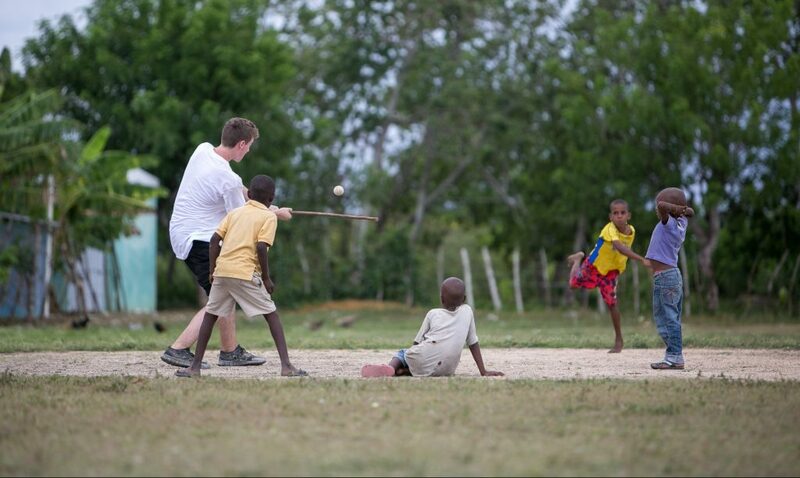 Learn about the importance of baseball to the Dominican people during Bats, Hats, and Gloves: Baseball Service. WFA! Become certified in Wilderness First Aid during Public Health in the Caribbean. Learn about local public health initiatives and the differences between how care is delivered in urban and rural areas. X-tra sweet cafecito. Dominicans love extra sugar in their coffee! Get used to enjoying an afternoon pick-me-up that tastes like dessert. Yaque del Norte. The longest river in the Caribbean, and an important source of water for many mountain communities. Zona Colonial. 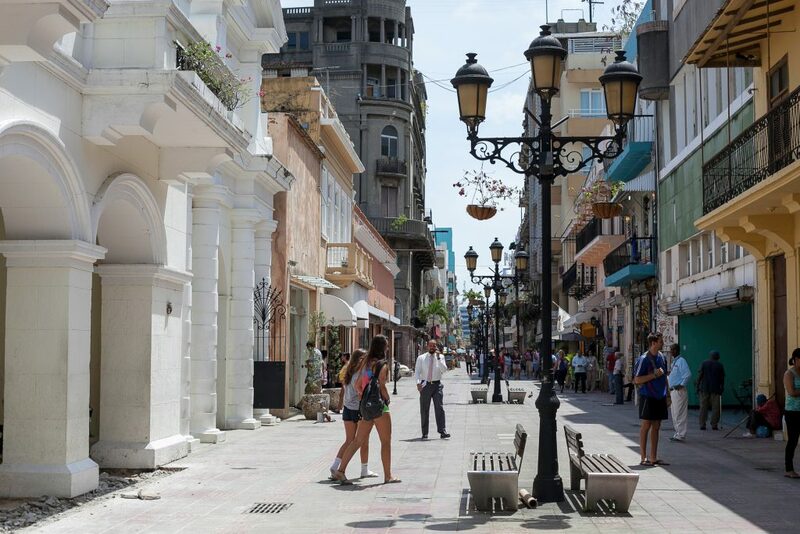 Step into history in as the Colonial Zone is home to the first cathedral, university, and hospital in the Americas. If you’re not sure which Dominican Republic program is right for you, request a call from one of our global program experts who can help you identify the perfect fit! Alex is a proud native of Ohio and graduate of The Ohio State University with degrees in international relations and Spanish. Through many trips to Latin America and as an exchange student in Spain, Alex speaks Spanish fluently. Alex joined Rustic in 2015 as a Program Leader in the Dominican Republic where she later managed programs. She's also led programs in Vietnam and Peru. Alex now uses her passion for experiential learning, endless optimism, and creativity on marketing initiatives for the Rustic Pathways Foundation. She also owns a small jewelry business, where she crafts bracelets with vintage sewing buttons.